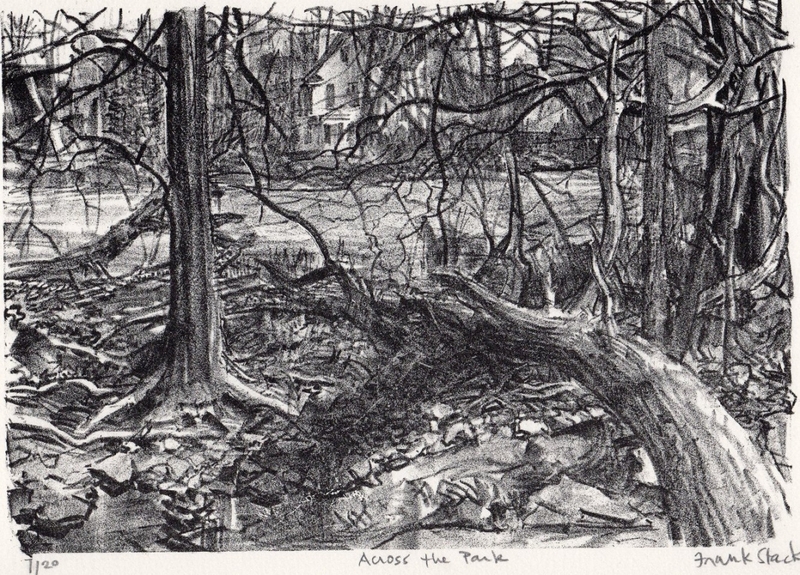 This pencil-signed hand-printed lithograph respresents a view across a park close to the artist's house. Using varying shades of gray Stack skillfully captures the characteristic tangle of limbs and undergrowth along a Missouri creek, with the park and houses in the background. This impression is from a limited edition of only 20 and is numbered "7/20". Image size: 8.75" x 12.25", Sheet size: 11" x 15".